While working on The Wildlife Defenders (TWD) Project in Southern Africa, we met many people who have committed their lives to wildlife protection and conservation. One of those people is Sean Pattrick. 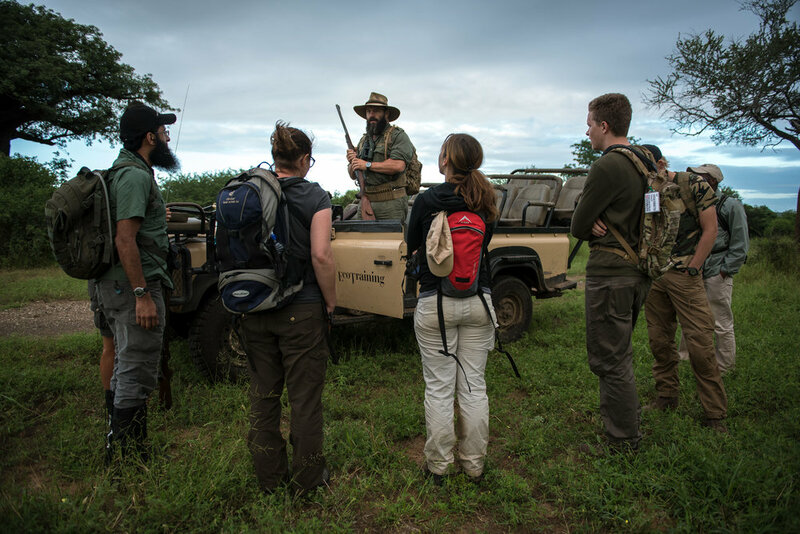 He is an instructor for EcoTraining, one of TWDs partners, and a trainer for CITT an elite anti-poaching school based in South Africa. Sean was asked six questions and here are his answers. Tell us about yourself and how you became interested in wildlife conservation. I grew up surrounded by people passionate about wildlife and conservation. My school days were spent looking for animals and birds and just enjoying wilderness areas like the Drakensberg Mountains. I have always wanted to work in wildlife and in wilderness areas. 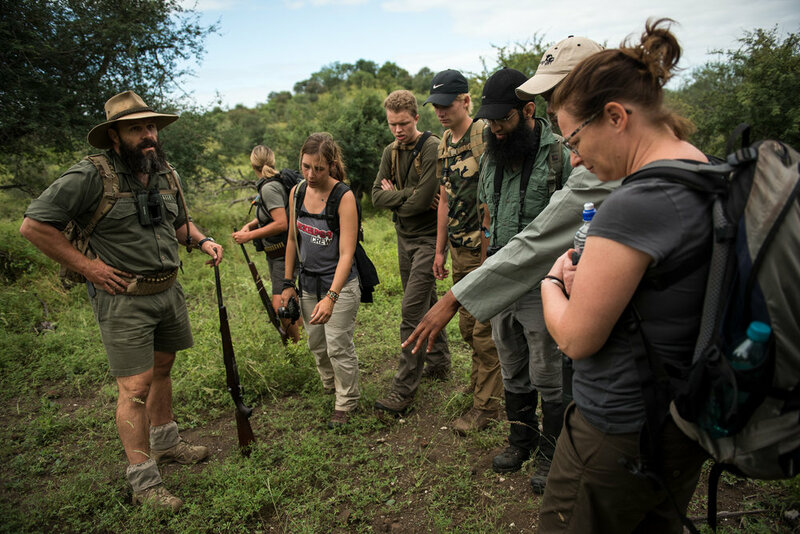 In addition to being an instructor for EcoTraining, you told us about how you train anti-poaching units throughout Africa. How did you get involved in this aspect of anti-poaching and why? I was lucky that thru my work as a trails guide, I was introduced to tracking and some great trackers. People like Colin Patrick have helped and mentored me in getting better at tracking. Colin set up CITT a company that trains rangers in tracking people (poachers). This is a national qualification thru the Southern African Wildlife College and the security THETA. With trial and experience from rangers and ex-military personal along with our own experience the program has been refined and is very successful. We also discussed the never-ending challenges of protecting rhinos from poachers. Why is it such a difficult problem to solve? I don’t think it is so difficult to solve. I just think you need our leaders to take a stand and stick to it. You can’t have a corrupt system and think you are going to win. All we are doing is slowing the rate in the current system. In your opinion, what do you believe can decrease or slow down the slaughter of rhinos in Africa? As above leadership that sees our wildlife as a national asset not to be tampered with by anyone. It is held in high regard as an avenue for tourism, jobs and growth thru sustainable utilisation. Remember we saved the rhino from extinction once before thru sustainable utilisation, tourism, hunting, and having small populations spread around the world. People must remember each tourist visiting this country creates 8 jobs. Without our wildlife how many tourists would we have and how many jobs? We can look at our neighbours and see were the majority of their tourists go. They no longer have wildlife like they did in the sixties, and most of their tourists are attracted to the coast. That is changing in some areas thru good management and sustainable utilisation. Rwanda is reintroducing rhino since they have no tolerance for corruption or poachers thru strong leadership. Its a model country in many ways. As we discussed, this is a war to save a species from extinction. 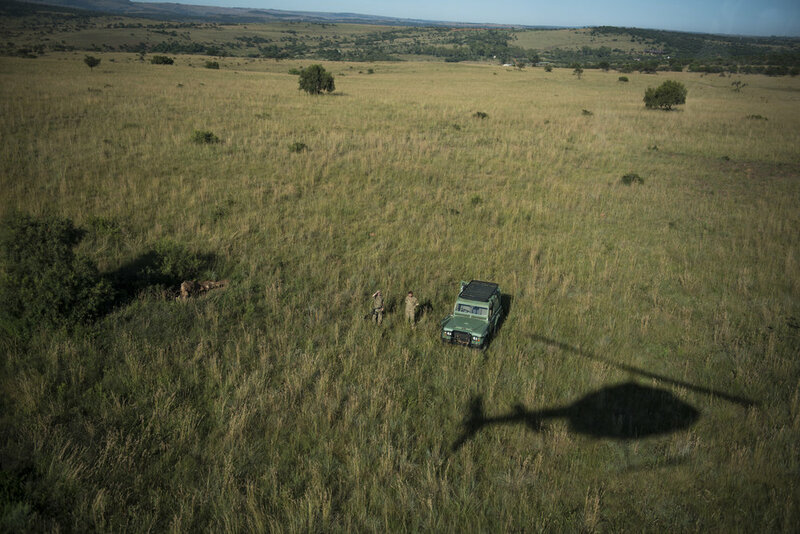 We know the poachers have access to vast resources – money, arms, informants, etc. – that can give them a distinct advantage. What resources do the “good guys” need to fight the war on a level playing field? First it must be seen as just that, a war. Poachers are stealing the natural assets of a sovereign state. If it was gold or diamonds this would not be tolerated. People living next to conservation areas by association do not have rights to the natural wealth of that area. Just like I can’t walk into my bank and help myself since I live next door. Often some of the poorest people live in these areas and conservationist should be doing all they can to create wealth for the locals thru sustainable utilisation of the area but not by compromising the protected area. One of the biggest resources the good guys need is the general public to educate themselves. There is a huge amount wasted on emotional issues. Both hunting and tourism affect protected areas. Both should be doing a LOT more for the areas they use. Both are needed by conservation to make areas sustainable. STOP fighting against one another, rather pool your resources and fight the real enemy, human encroachment, over population and loss of habitat. Ultimately we need these and other areas for our own survival conservation is not just about the big iconic animals there needs to be a holistic approach. Poaching is a very real symptom of a society disconnected with its natural environment. The resources are often basic supplies, boots, clothing, training, fuel, dog food, etc. – the cost is huge and most wildlife areas have to pay their own way! This is where those that enjoy these areas are letting the areas down. The costs to tourism, hunting, etc. is minimal and they should be putting a lot more back. There are those that do but by and large they are businesses and are there to make as much money as possible. Please add any additional comments regarding the crisis, and recommended resources and links that will help educate and engage the public. The Conservation Initiative is good for getting a different view. You really have to becareful what you take from the media, and do your research and talk to people in the field. It’s their lives so you can be sure they are trying to do the best they can.